Well I finally finished my capsule wardrobe! I have been shooting parts and pieces now for weeks. All with the same background and lighting. I will be savoring each summer day with her! These are gorgeous, Tamera. You are just the queen of neutrals. I love it all and your happy smiles, too. Thank you so much Linda! Your post today on Man Year was so beautiful! QUEEN INDEED! Tamera, your son's name is Hunter Beardsley? How royal! You are like an entire MAGAZINE of neutral and soft colors... so peaceful and GORGEOUS. I LOVE YOUR STYLE! xo!!! Headed over to see ELLIS now! Straw and linen and neutrals all seem so summery to me. 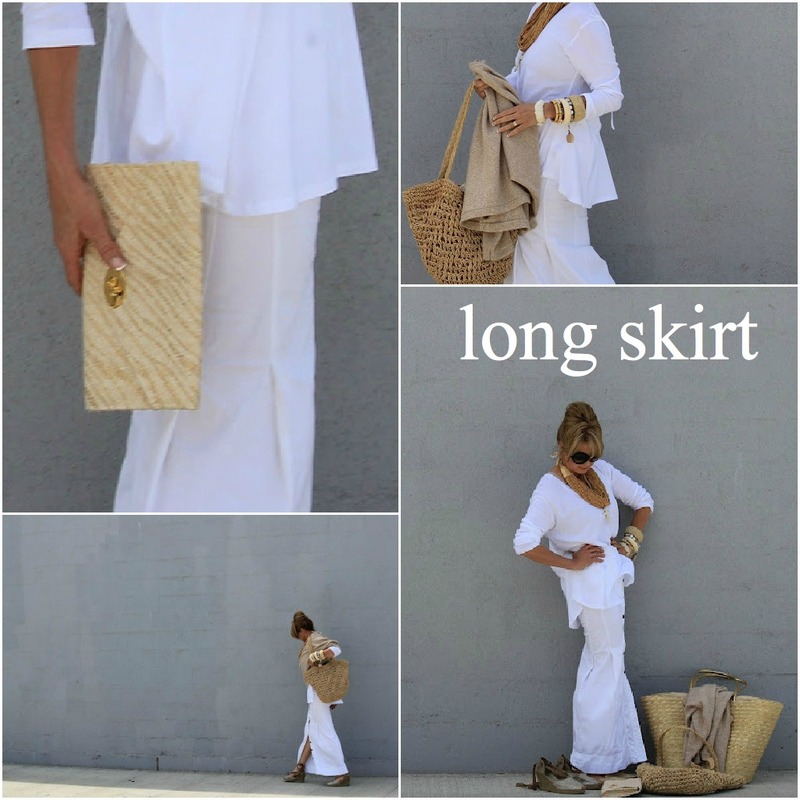 I like how you combined the height and width of the straw hat with the oversized bag. Wow, you are just gorgeously classy in every way. That most impressive collection! All outfits are wonderful. The photos are beautiful. A magnificent collection. Congratulations. I really wish I could pull off that much white, you always look so glamourous. Tamera, I love everything about this entire spread. And I call it that because it looks like it came out of a magazine! There is nothing simpler and cleaner than cream and white. Can you tell us where you got those fabulous open toed ankle booties? I need them. Very badly. You are just so stylish and beautiful, I'm blown away by your elegance and your phenomenal wardrobe. 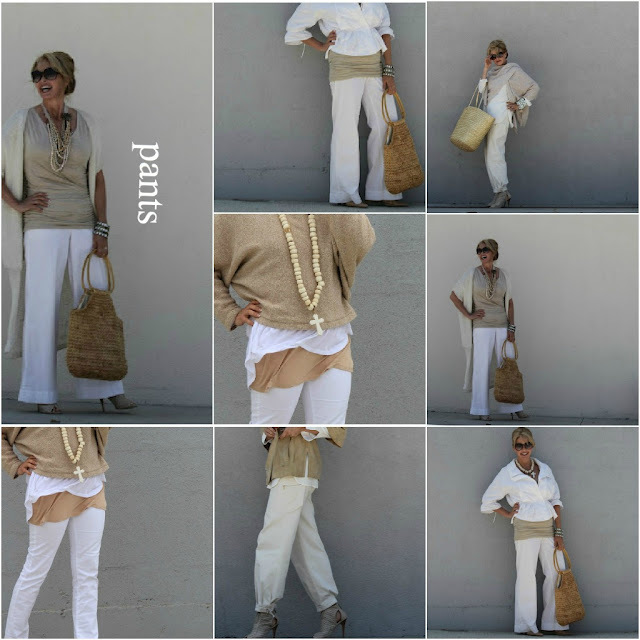 Stunning in neutrals! Your wardrobe capsule is amazing and very inspirational. Using the same background highlights each piece. And now I see that talent runs in the family. Have a wonderful summer with your gorgeous daughter. 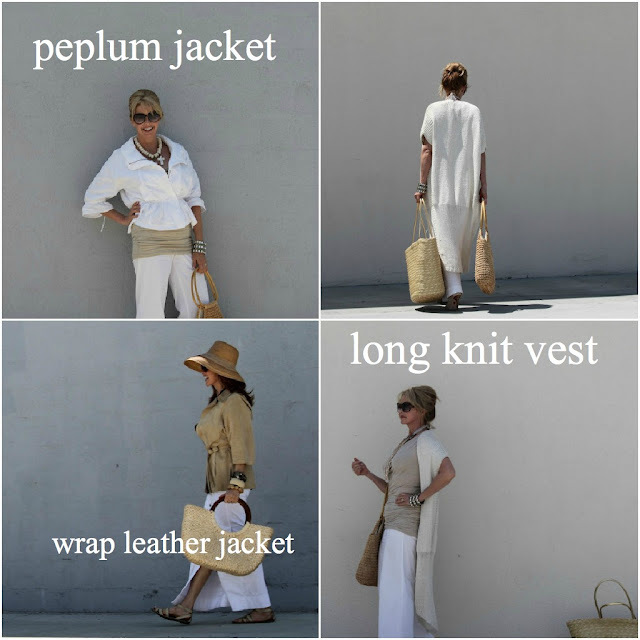 I absolutely love your capsule wardrobe, so chic! How inspiring. 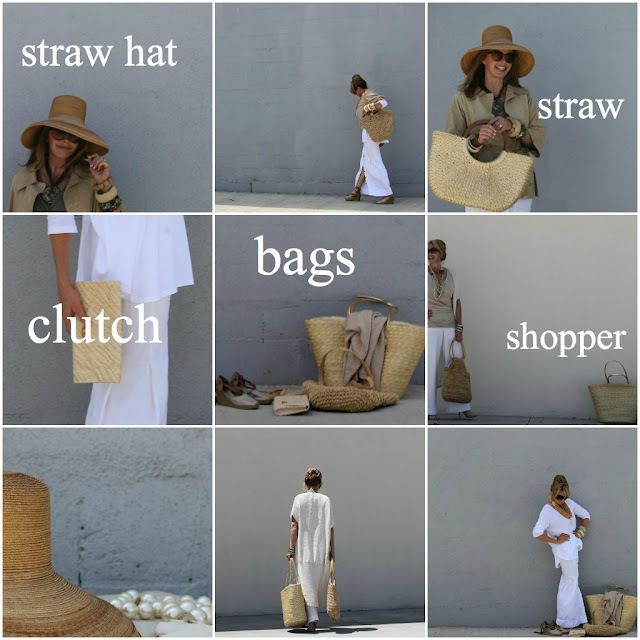 I have a thing for straw bags as well. Enjoy your summer with your daughter! What beautiful looks!! Love the color!! What a marvelous e=mail to read from you. And...then to pop over and visit your blog and see a homeschooling family with such "high fashion"! I was completely tickled. Thank you for your kind words about "transitions". I do have fears that her quiet wonderful world of homeschooling will come to a screeching halt in August. She was a perfect fit for the homeschooling lifestyle...quiet, introverted, a reader, nerdy-ish...she loves her world with her kitty. She is ready though. We can feel the angst and she wants to assert herself and not be a child. BTW, your fashions are so very beautiful. 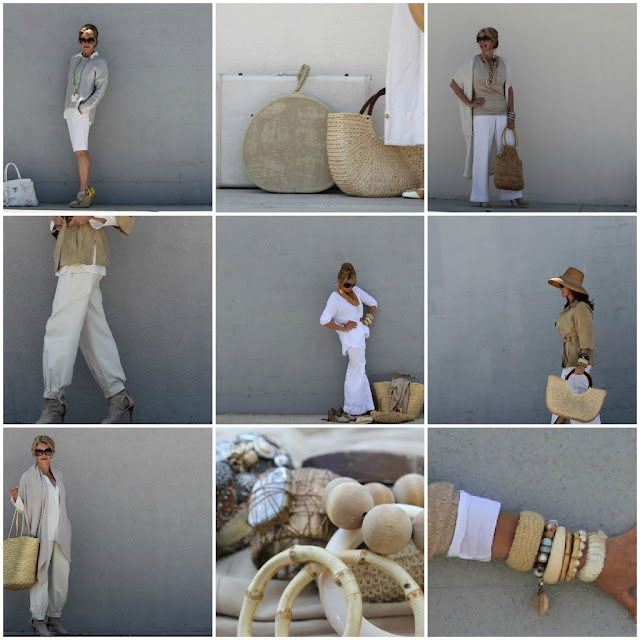 I really do love just about everything I see there with the crisp whites and natural colors. And!! Congratulations on your daughter, Ellen, studying in Italy next fall. I REALLY hope by daughter will go abroad and have this kind of experience. She is going into "sciences" but she has 4 solid years of french...so maybe...FRance? Thank you for reaching out to me. It means wonders. Tamera, your capsule is so elegant, versatile and chic. You have done a brilliant job assembling it and you look gorgeous! I am off to visit your daughter's site. FABULOUS LOOKS! I cannot take my eyes off of your jewelry...these necklaces are amazing! How exciting to find out about your support and participation in home schooling...so important for many families. I have taught many kids who came to us for high school after being homeschooled in grades K-6...they have so far always been impressive and a joy to teach!! have a wonderful week, Tamera!! As I get ready for two separate trips in the next two weeks, I wish I were as organized as you are!!! The capsule wardrobe is a dream come true. Your pieces are gorgeous, set off by your amazing accessories. I'm especially coveting your bracelets, since I'm obsessed with them. Enjoy your daughter (and your son!). I have a leather bag my daughter bought for me the summer she went to Italy on a special class trip. I will always treasure it because it came from her. This is dripping with inspiration ~~~ love every single image!!! Enjoy your daughter, I know how special they are. Love all of these! So beautiful! Always clean, like fresh-off-the-line-spring-laundry clean! I was wondering if you do styling professionally too. Your shoots always have such artistic polish! I hope you have a grand summer with your daughter. I adore your style! Everything looks so perfect. Love your jewelry. Please let me know how to purchase a long cross necklace and a bracelet that a tiny bit of color with a flat bead that dangles. They are in this post! I would love to have them asap to wear to my high school reunion. you're fabulous! 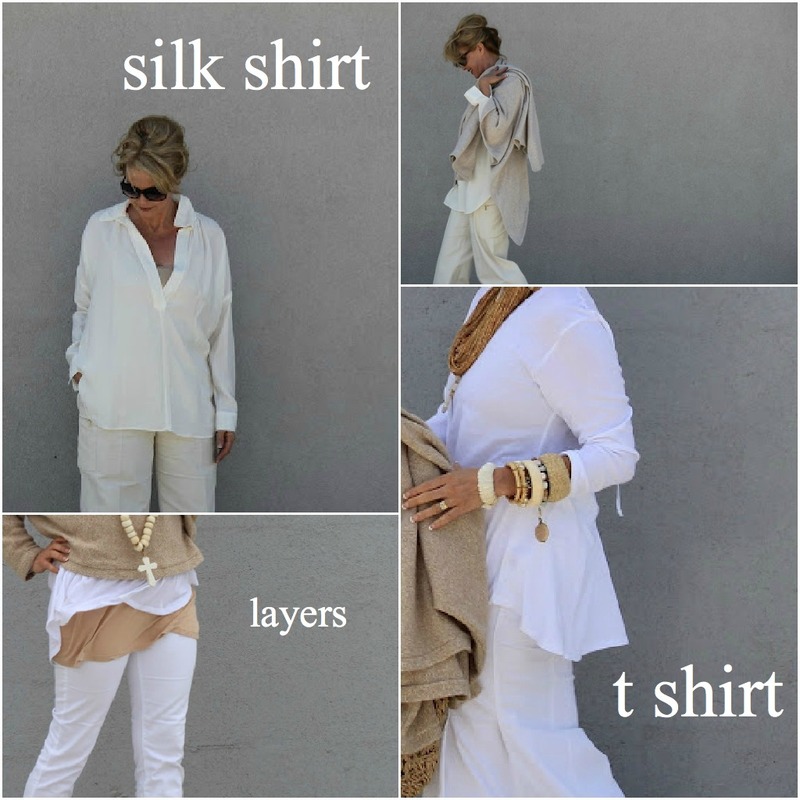 i love your style, as well as your blog! i love this look. very clean and summertime friendly. I'm so in love with this look!!! Absolutely beautiful!